For literal years I have been saying that Treyarch should make a stand alone Zombies game comprised of all their old maps. Well it seems like they have nearly had the same idea as out the blue a fifth DLC map pack was announced for Call of Duty: Black Ops III, one that is called Zombie Chronicles and is made up of eight old Zombies maps remastered for the current generation. Me and my best friend regularly play the old maps anyway, but having them made beautiful is an amazing surprise. You would think this £25 Zombies Chronicles would have been released as a stand alone game, yet bizarrely it isn't and so a copy of Black Ops III is required. Sure this is going to sell like hot cakes as Zombies is very popular but it would have enticed new players if it had only been stand alone. 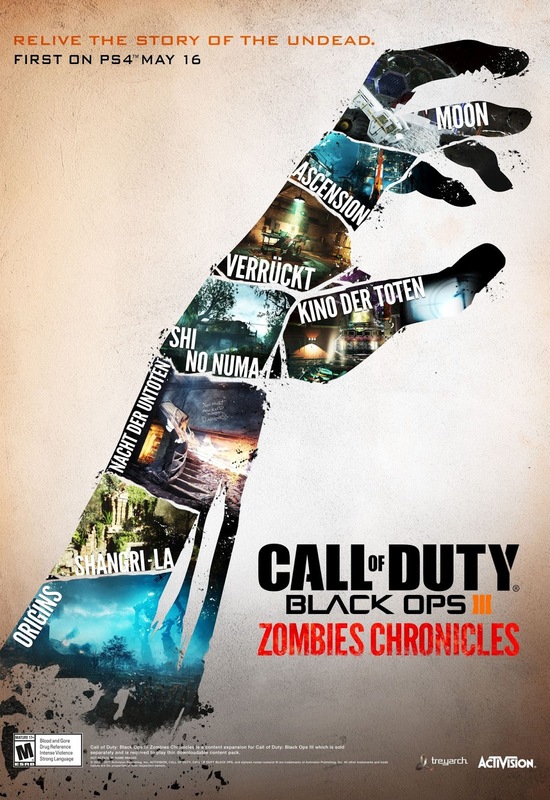 So the eight maps remade here are all the ones that feature the stars of Black Ops III Zombies; Tank Dempsey, Richtofen, Takeo, and Nikolai. The story has always been super confusing taking place as it does over multiple dimensions and time lines and there is no effort here to make it any clearer. These maps feature the same introductions as they ever did so we get the splash loading screens, or opening cut scene as it was, just with the HD treatment. So what maps are there then? The maps come from Call of Duty: World at War, Call of Duty: Black Ops, and Call of Duty: Black Ops II with Nacht der Untoten (a German airfield), Verruckt (a German insane asylum), and Shi No Numa (a swamp based Japanese research facility) coming from World at War. Next we have the classic Kino Der Toten (a German theatre), Ascension (a Russian Cosmodrome), Shangri-La (jungle ruins), and Moon (set...on the moon) from Black Ops. Finally is Origins (the trenches of World War I France) from Black Ops II. The maps look so much better than they ever have before. The old maps always did look a bit muddy and blurry but now they are beautiful, the levels are all super detailed bringing them on par with the more new maps. Even better are the sound effects which are just stunning. Enemies have new audio, so dogs, crawlers and the other undead monstrosities sound so much more imposing and cool. 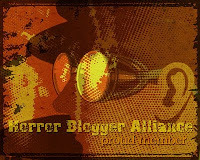 I especially love the gurgling sound that sometimes accompanies zombies when they die. 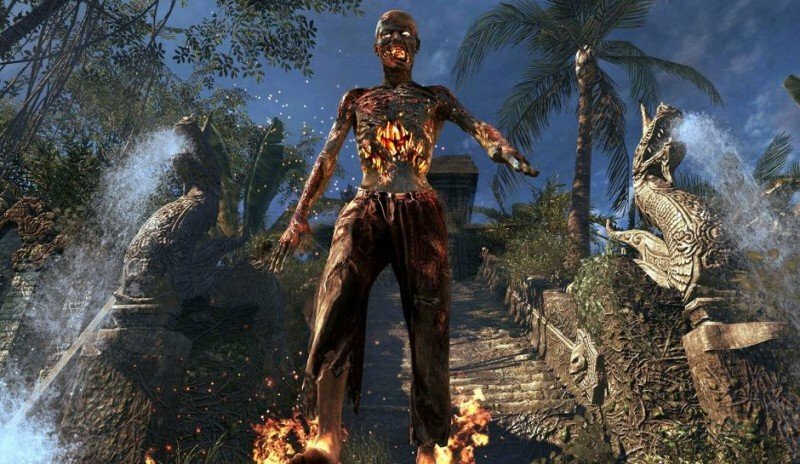 Ambient noises in the levels are somehow even better than that, this is especially apparent on Shi No Numa that is full of noises of monkeys, birds, and insects all doing their thing. In terms of the characters voices there is no new dialogue, so they sound crisp and clear but they will be saying what they always have done. All these changes are just breath taking, so it is a shame there are some negatives to this whole unbelievable experience. A very minor complaint is that my favourite map Five (set in the Pentagon) did not get remastered, that is totally understandable though as only maps featuring the four iconic soldiers got the remake treatment. More damning for me (and again this isn't anything major) is that despite the classic old weapons appearing in puzzle boxes the wall weapons have been updated to feature Black Ops III weapons. For some reason the god awful Sheiva, and RK5 pistol are the default starting weapons, I hate both these weapons so keenly missed the rifles and shotguns the maps of old featured. Gobblegum machines have been added to the maps so now things are a lot more easy than they once were, personally I love being able to use these perks on the old maps, especially as there are a host of new Gobblegums created for this new DLC. My favourite is a purely cosmetic one that turns the zombies into bright primary colours, it makes them really stand out against the background and so easier to see. All the maps are much easier as a result though so it is easier to get to a stage where everything is unlocked and you are just focusing on killing the undead (or doing the Easter eggs which all return here). I never in my wildest dreams imagined Treyarch would ever remaster their own maps, I still have to pinch myself that this happened, it is just awesome. They have stated this is it and they wont be remastering any more in a further DLC, I hope one day they do but for the moment this has been a dream come true. If you have always wanted to get into the Zombies experience this is the perfect starting point, £25 is great value for money, I just wish it had been stand alone. Regardless this is near flawless and an essential purchase for all owners of Black Ops III.